Manchester United temporarily went back to the top of the table after their most complete away performance of the season. 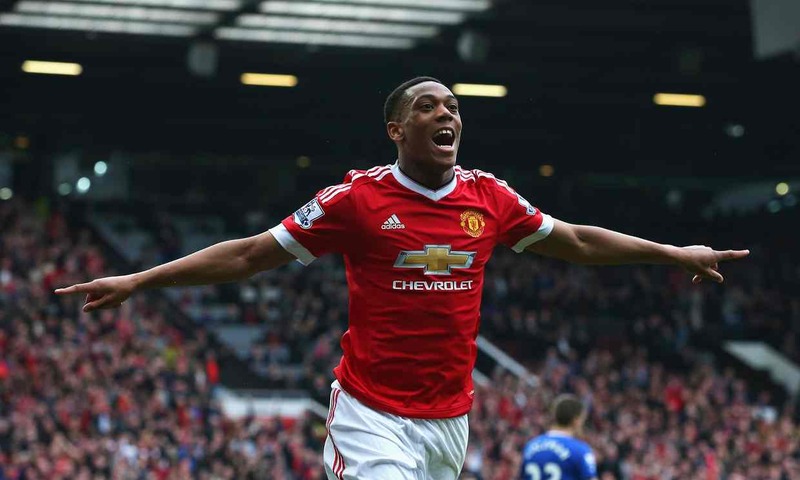 An unchanged United side only put two goals past QPR – a scoreline that maybe flattered the hosts. 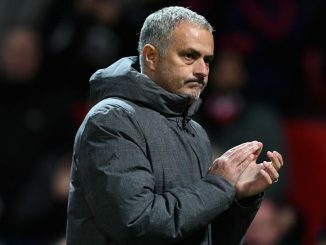 United’s 8th away game of the season provided the fifth away clean sheet in the league – impressive considering that’s the same amount they managed in the entirety of last season’s away games in the league. Below, we discuss the talking points and invite QPR fans as well as United fans to join in the discussion. After Villa and Wolves we purred at the strange but effective central midfield pairing that’s emerging. Once again the pair performed well, in sync with one another. Sir Alex joked after the game that he’d fine Michael Carrick for scoring – he ran forward 40+ yards with the ball and left his position. It’s nearly a year since we identified that Carrick was playing a deeper role for the club; one that Fergie described as “sitting”. That was on the whole evident this game. Carrick’s discipline gave Jones freedom to go box-to-box in performance worthy of comparison with a young Roy Keane. Carrick’s central discipline is outstanding. Few players are so good at holding their position so well, especially in a 4-4-2 (it’s much easier to do so like Lucas or Song do in a 4-5-1). 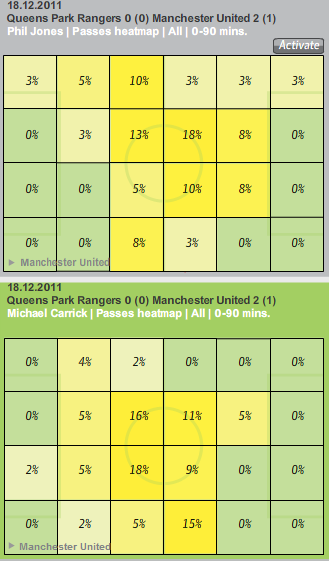 So much so, that 34% of Carrick’s passes were made just inside United’s half in the centre and only 40% were made from within the QPR half. This gave Jones license to roam and be a ‘destroyer’. He played 56% of his passes from within the QPR half but was still clever enough (beyond his years) to hold deep on the odd occasion Carrick went forward. This performance from Jones and Carrick is a wonderful example of how different styles of central midfield pairings can work. Anderson and Cleverley worked well as they moved as a unit, up and down the pitch together. Jones and Carrick against QPR worked in the other way – as one went forward, the other held just behind. The fruits of such a system were found with QPR’s midfield unsure whether to press or sit and ultimately both Jones and Carrick were able to make excellent forward runs when not in possession, leading to chances for both to grab goals (Carrick would of course make a goal for himself in the second half). There was much outrage on popular social media forums when Garth Crooks named Patrice Evra in his team of the week on the BBC website. Garth either didn’t watch the first half or he’s a bad pundit. However, as poor as Evra was in the first half, he improved considerably second time round. He gets unfair levels of criticism come his way because not only are fans used to world class level performances from him but because there is no real alternative to him which is frustrating. His form though, is much better than many would choose to acknowledge. 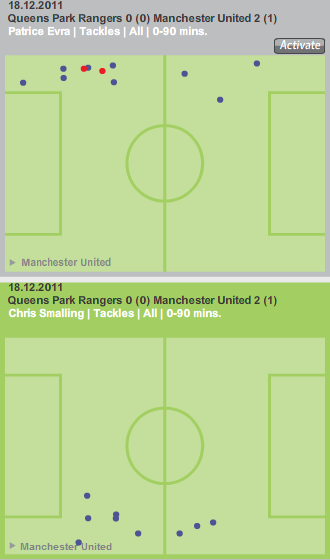 Between Evra and Smalling they completed 18 successful tackles – just under 43% of the entire United team in the game. With QPR losing the battle in the middle, they turned to width – the rapid Shaun Wright-Phillips who always seems to play well against United; and the direct, strong Jamie Mackie. The fact that Smalling didn’t lose a tackle is super impressive. He was excellent once again with the ball at his feet and is really becoming an outstanding young footballer. As for Evra, Garth Crooks was wrong to pick him in his team of the week, but he was nowhere near as bad as many want to believe. In between the fullbacks, Ferdinand and Evans were formidable. Already since the game finished we’ve written about Rio’s resurgence and how he’s taken on board more of a leader’s role since Vidic’s injury. Evans, who like Evra has his criticisers, was imperious. It was maybe Jonny’s most convincing performance in 18 months for the club. Evans and Ferdinand didn’t have an easy game. 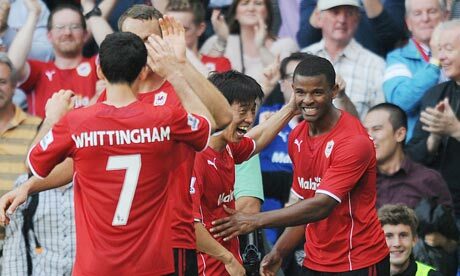 Against Helguson and Bothroyd, two excellent players aerially, they made 28 clearances and repelled almost everything. Just one lapse in concentration coupled with an outstanding cross by Taarabt saw QPR have a clear sighter on goal. Not only is Rio’s form crucial, but Evans, as his partner is stepping up to the huge task of replacing Vidic. Many will have had their concerns over Jonny but he’s starting to appease many. He’s managed to combine the calmness of Ferdinand with the brutality of Vidic and with regular game time he’s in excellent rhythm. 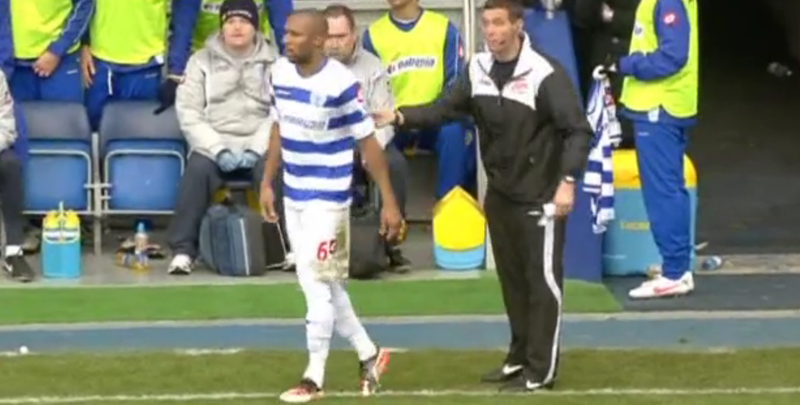 As the second half kicked off, QPR’s Danny Gabbidon was nowhere to be seen. Yet, the referee was happy to restart the game, as were QPR. It nearly cost them as United won the ball on the left and Valencia’s long pass forward found the space that wasn’t occupied by Gabbidon, and had Rooney’s first touch been a bit better, he’d have been in through on goal unchallenged. A couple of smaller points to finish on – at long last United’s efforts on goal weren’t all hit from the edge of the area of from obscure angles. United created good, clear chances from open play and, surprisingly from set pieces. A combination of the woodwork, good goalkeeping and poor finishing was all that denied Evans (three times), Jones, Valencia, Welbeck and others from getting on the scoresheet. Javier Hernandez was a surprise inclusion amongst the substitutes, returning early from an ankle ligament injury picked up away to Villa. He got 30 minutes at the end of the second half and whilst wasn’t overly involved in build-up play, he had a couple of efforts on goal including a smart half-volley late on that went just high and wide. United play three games before 2012 comes in – away to Fulham on Wednesday followed by home games against Wigan and Blackburn. The two home fixtures should be comfortable but the Fulham game poses a tough obstacle. City only play twice before the new year so United can end 2011 top of the table, albeit having played a game more. City host Stoke before travelling to West Brom on Boxing Day and Sunderland on New Year’s Day. Three wins for United could make for a very good Christmas and new year! United’s sixth away win of the season was the most convincing so far. Amazingly that’s already more away wins that the side achieved last year having played under half of their away games. The result and the clean sheet came with an exciting performance for once. Quick, neat, one-touch football unsurprisingly brought countless goalscoring chances as well as joy to a rapturous away end. The goals came at the perfect time – Rooney inside a minute continued his revival and added a masterclass of a performance to match; Carrick’s early in the second half killed the game. Next up is a toughy at Fulham on Wednesday. All I want for Christmas is an unchanged line-up, more entertainment and more maximum points!